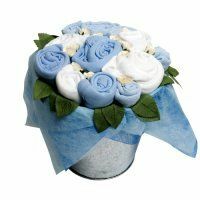 We also sell clothes bouquets which are a lovely gift for Christmas, both for new mum and new baby. They are practical yet very cute and pretty. Completely handmade, you will love these gifts!